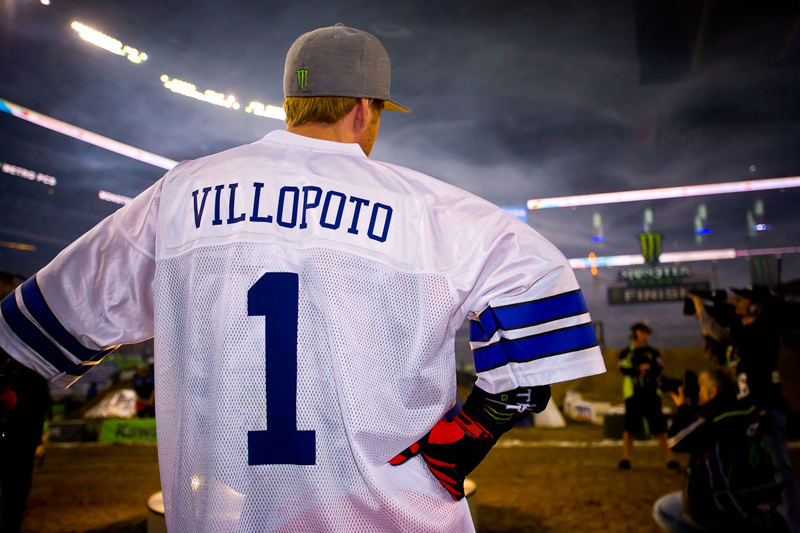 ARLINGTON, Texas (February 18, 2012) – Monster Energy Kawasaki’s Ryan Villopoto, of Poulsbo, Wash., won his third consecutive Monster Energy AMA Supercross, an FIM World Championship, race tonight at Cowboys Stadium before 53,952 fans and extended his points lead to 13 points. GEICO Honda’s Justin Barcia, of Ochlocknee, Ga., won the opening race of the Eastern Regional Supercross Lites Class Championship. Motoconcepts Suzuki’s Jeff Alessi, of Victorville, Calif., captured the first Nuclear Cowboyz® Holeshot Award of his season to begin the Supercross Class Main Event. Alessi was quickly passed by Villopoto and TwoTwo Motorsports Honda’s Chad Reed, of Dade City, Fla., respectively. JGRMX/ Toyota/Yamaha’s James Stewart, of Haines City, Fla., finished Lap 2 in second place, and on the following lap he collided with his teammate Davi Millsaps. The mishap caused Stewart and Millsaps to lose several positions. 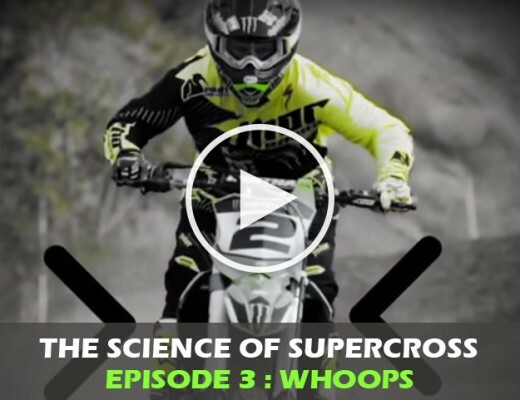 While stalking Villopoto just prior to the halfway point, Reed suffered a horrific crash that left him unable to finish the race. On Lap 18, Villopoto’s Monster Energy Kawasaki teammate Jake Weimer, of Rupert, Idaho, traded positions with Red Bull KTM’s Ryan Dungey for second place. Weimer held him off but was passed by Dungey on the final lap. The two then traded positions several times before Dungey made the final pass and crossed the checkers in second. Weimer finished third, marking his second podium finish of the year. Monster Energy/Pro Circuit Kawasaki’s Darryn Durham, of Butler, Pa., won the Nuclear Cowboyz Holeshot Award to start the Supercross Lites Class Main Event with Rockstar Energy Racing’s Blake Wharton, of Beaumont, Texas, on his rear wheel through the first turn. While charging after Durham, Wharton crashed before the take-off of the triple. On Lap 6, Barcia and Durham traded places with Durham holding the lead, and on the same lap, Barcia and Bogle traded places. Barcia held down second until Lap 8, when he passed Durham and rode to victory. Red Bull KTM’s Ken Roczen, of Murrieta, Calif., passed Bogle for third place on Lap 10. JDR/JStar/KTM’s Malcolm Stewart, of Haines City, Fla., attempted to pass Bogle but caused both riders to crash, losing valuable positions. Durham finished second and Roczen finished third. 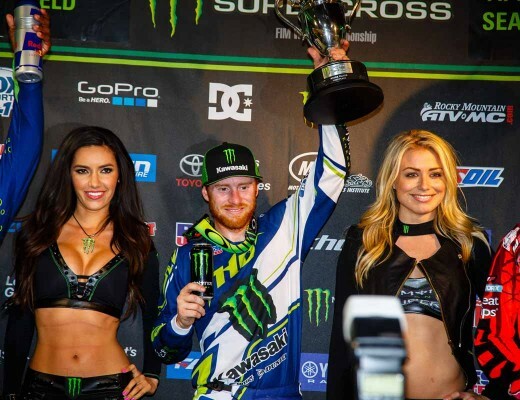 The Monster Energy Supercross Championship heads to Atlanta’s Georgia Dome next Saturday, February 25.